Domus Ventilation are pleased to announce the appointment of Shane Leather as National Specification Sales Manager. Shane’s appointment to this post forms part of our strategy to return to the specification sector following the launch of a range of high performance mechanical ventilation systems over the past six months. These include the HRXE Mechanical Ventilation with Heat Recovery (MVHR) unit and the highly energy-efficient CMX Mechanical Extract Ventilation (MEV) units, which boasts the best Specific Fan Power (SFP) on the market. 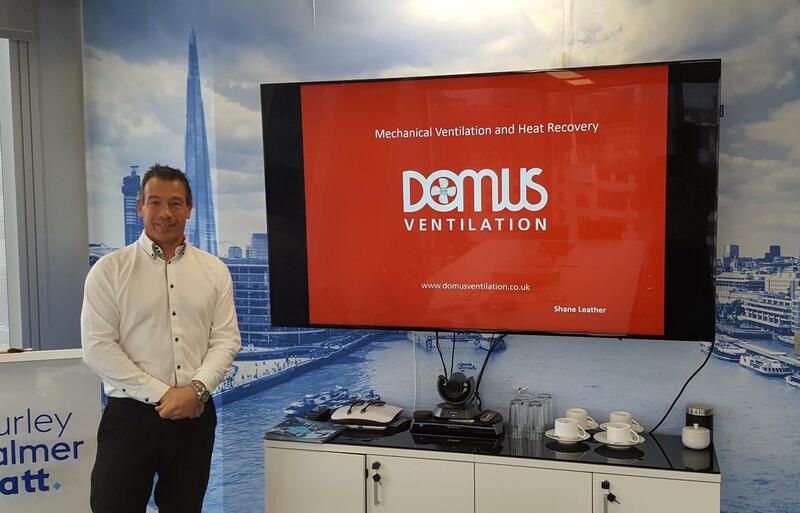 A key part of Shane’s role as National Specification Sales Manager is to reintroduce M&C Consultants and specifiers to Domus Ventilation – and advise on the most suitable and compliant mechanical ventilation system for a project. Shane’s 23 years experience working across the breadth of the HVAC sector - from air handling units and curtains to pumps and ducting - has put him in good stead for this role. Prior to joining Domus, Shane was Regional Sales Manager for London and the South East at Armstrong Fluid Technology, selling into specifiers and contractors. This all round experience made him an ideal candidate for this newly established role of National Specification Sales Manager. Shane has certainly been busy since joining the team, re-establishing contact with former specification customers and with his own contacts developed over the years, which has already born fruit; he is currently working on a number of specification projects. In addition, Shane has written a presentation which has been submitted to CIBSE for CPD accreditation, which is expected shortly. Supporting the re-entry into the specification sector, Domus Ventilation’s in-house Technical Department is providing free technical and design services, all products have been uploaded to the BIM library and a new 108 page Specification Guide has been released.